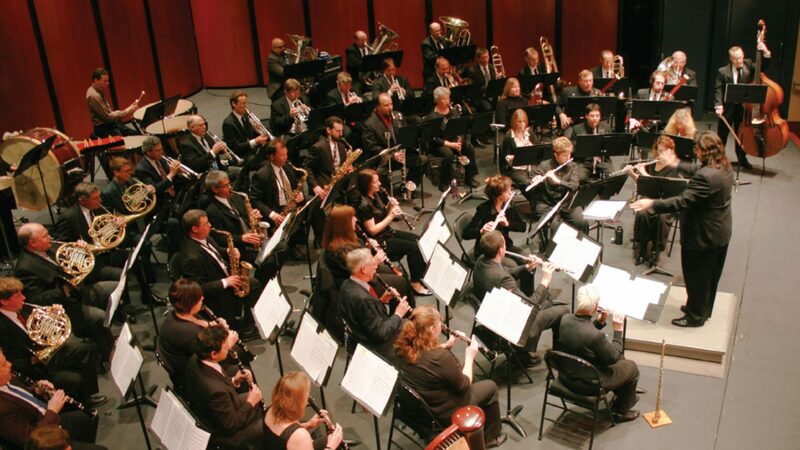 Based at Ohlone College in Fremont, California, the Ohlone Wind Orchestra is dedicated to playing high quality wind ensemble music. The ensemble has performed at the American Bandmaster’s National Convention, the Fresno State Wind Festival, and the CMEA Winter Conference, and was invited to play at the 2015 Conference of the World Association for Symphonic Bands and Ensembles (WASBE). The OWO has also recorded several highly acclaimed disks on the Johnson Digital Audio label. The instrumentation of the Ohlone Wind Orchestra follows closely that of the wind ensemble as conceived by Frederick Fennell at the Eastman School of Music in the early 1950s. An intimate grouping of brass, woodwind, and percussion instruments allows the expression of each musician and section alone and together. Combining the tradition of the brass band with the musical heritage of the 20th century wind ensemble, the OWO repertoire includes wind band standards and occasional transcriptions as well as a number of contemporary compositions written specifically for wind ensemble. The Ohlone Wind Orchestra was founded in 1991 by Phil Zahorsky, who led the ensemble for its first ten seasons. He passed the baton to our current director, Tony Clements, in 2001. To find out more about the Ohlone Wind Orchestra, including performance opportunities, contact Director Tony Clements. Questions about the website can be directed to the webmaster.